Unchartered has always been quite amazing in terms of not only gameplay, but also story telling as well as visuals. Have you been waiting for that new adventure? Unchartered 4 has finally gotten a solid showing at the Sony e3 conference. 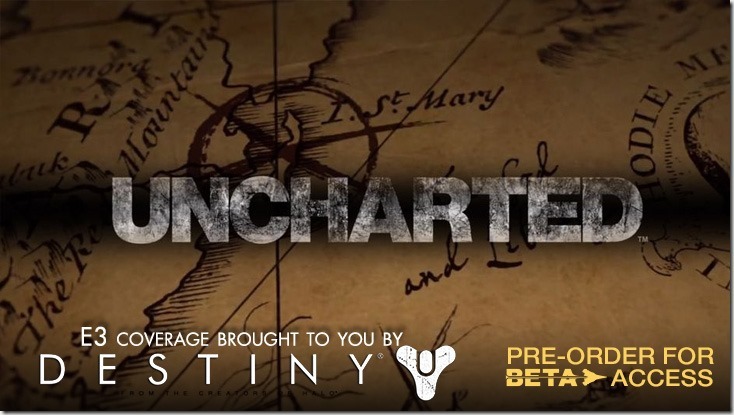 The video states that the trailer was captured directly from a Playstation 4, but there is no actual gameplay shown. There is one tiny bit at the end of the big reveal that illustrates what the gameplay might look like, but whether it is or not is anybodies guess. The series staple characters make a return; Nathan Drake, the adventurer who gets caught up in the most unusual of situations, and his mentor, Victor Sullivan,the lovable Sully. I’ve always had a soft spot for Unchartered, and quite frankly, I have no issue with a sequel. Uncharted on PS3 pushed the console to its limits, creating really beautiful locales. It remains to be seen just what Naughty Dog will be able to produce on the PS4, but if their previous games are anything to go by, I’m pretty certain that we can expect some really incredible eye candy.